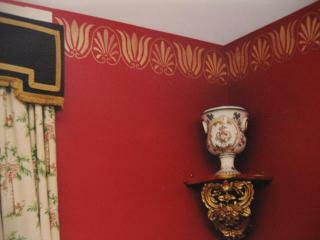 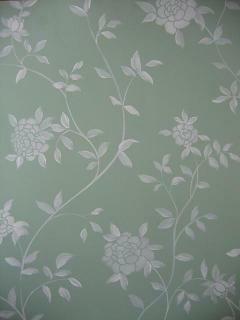 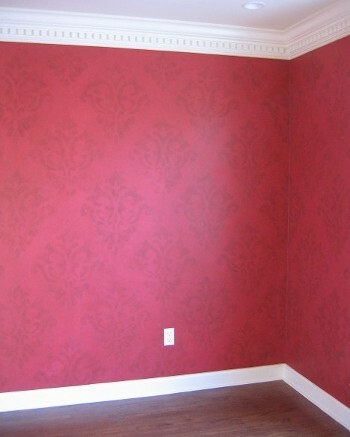 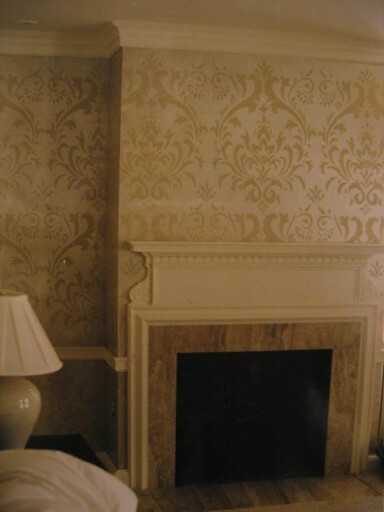 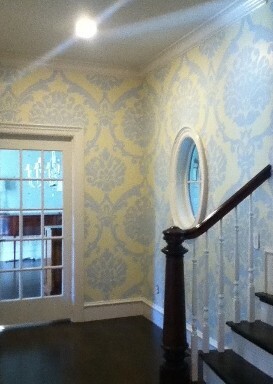 A Greek Pattern stencilled in Gold Metallic on Red background creates formal effect. 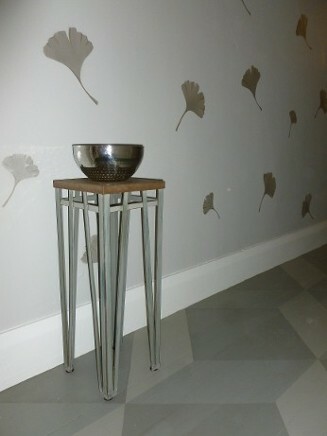 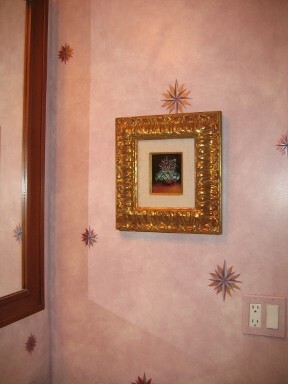 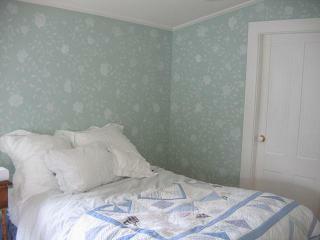 Copper and Silver stars on top of a cheeseclothed background creates another elegant Powder Room. 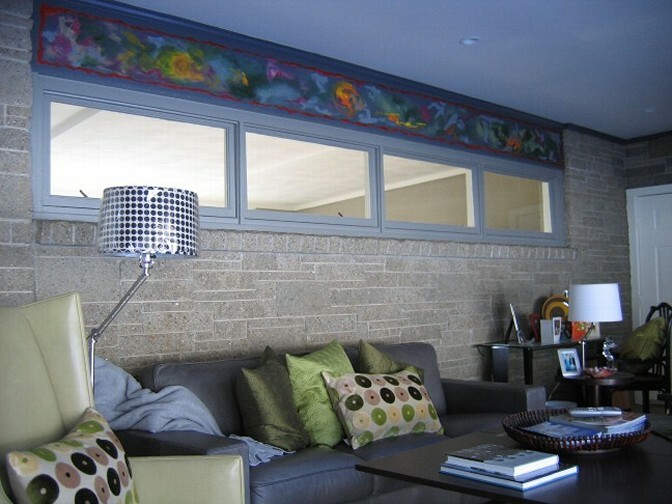 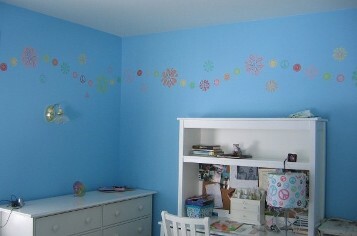 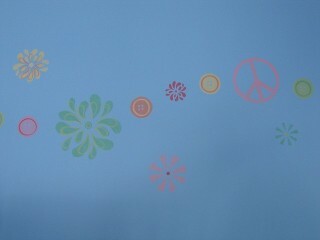 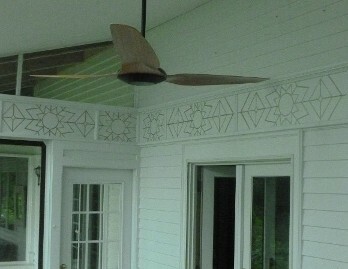 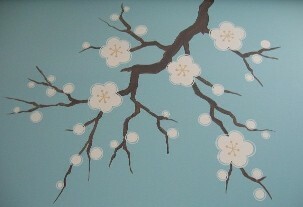 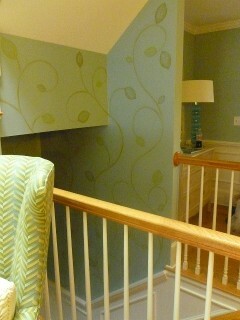 Abstract border to bring bright color to a bricked room.